We Do Not Sell Appliances! We Do Not Do Warranty Work On Any Brand Of Appliances! We are an appliance repair service company and we do all repairs at your home. We do not give any estimates over the phone for repairs we must physically test your machine first to give you a proper quote on repairs. We only work on Refrigerators, Stoves, Washers, Dryers, Dishwashers, Central A/C, Wine Cooler, Ice Maker & Ice Machines, and Freezers sorry for the inconvenience but we do not repair toasters, blenders, hair straighteners, etc. Only Major Appliances Listed Above. 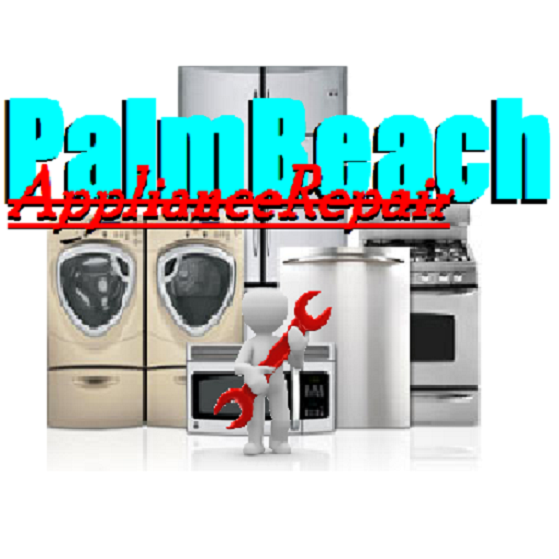 Palm Beach Appliance Repair has been servicing Palm Beach County for over 25 years. We guarantee to make your repair as hassle-free as possible to insure your household gets back on track immediately. Our company believes a customers satisfaction is the most important ingredient to running a successful business. We cannot give you a quote or estimate over the phone, furthermore, it is not possible to properly diagnose an appliance solely through second hand information and without visual aid. Our company services all types of Gas and Electric appliances and air conditioning including refrigerators, stoves, ovens, dishwashers, freezers, washers, dryers, stackable w/d combos, and central air conditioning systems. We do not do warranty work for any brand name. We do not repair microwaves or garbage disposals and we are very sorry for the inconvenience.